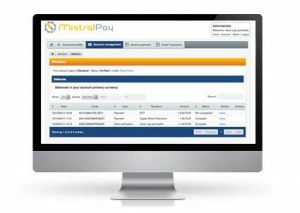 MistralPay Account is a free online payment account that you can use to pay for goods on thousands of sites. You can also use your eWallet to accept payments from other sites or individuals. Buy using your MistralPay balance without providing your bank account information or credit card data. Top up your account with a domestic bank transfer or by credit card. Use the balance to buy or send payment. You do not need to share or disclose financial data in order to complete your payment. Select the desired product or service from the merchant website. Add the product into the shopping cart. Choose to pay using MistralPay without sharing your financial information with the merchant. Complete the transaction via MistralPay’s secure server. That is it, your purchase is complete. With MistralPay you can request payment from anyone as long as they have an email address even if the payer does not have a MistralPay account yet. They will receive an email from us showing them how to open an account in order to pay you. The bank transfer must come from a bank account having the same name of the MistralPay registered account so that MistralPay can match your identity. If MistralPay cannot match your name, there would be a delay in completing the payment transfer or the transfer could fail, in which case we would return the funds to your bank account. Use your MistralPay code exactly as it appears on the Top Up Account personal page. The MistralPay code enables us to identify you and transfer the funds into your payment account. You must enter this code into the transfer title/description. MistralPay will send you an email when the funds are in your payment account. It usually takes 1-2 business days to complete the transfer. Withdraw funds from your MistralPay account with a direct transfer into your bank account. Log in to your MistralPay account. Enter the amount you want to withdraw. Select the bank account to receive the money. We securely transfer the amount into your bank account. Peace of mind with your funds. The name registered on your MistralPay account must match the name on your bank account. In your Profile, click “Manage Bank Account”. 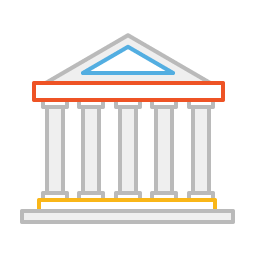 Your account information is stored in our secure server. To complete the link with your bank account, we will send you an email explaining how to complete the process.